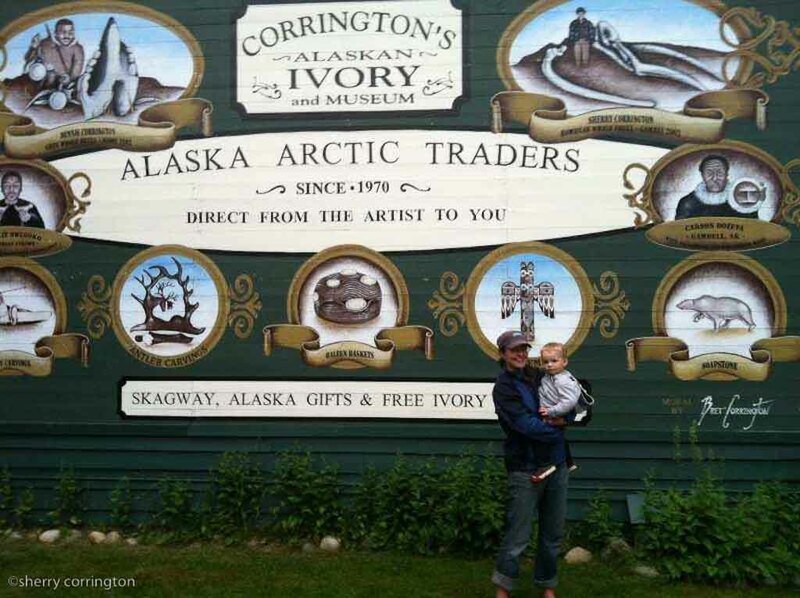 Add a guided visit to the famous Corrington Museum of Alaskan Historyfeaturing the history of Alaska on masterfully scrimshawed walrus tusks. 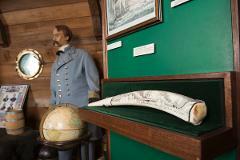 Your guide's father, Dennis Corrington, created the Smithsonian-worthy exhibit so she knows much about the amazing stories captured in scrimshaw. 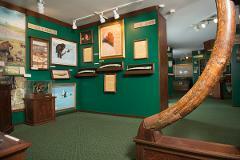 Starting with the prehistory of Alaska the museum will guide you through exhibits featuring Native peoples, the Civil War, Gold Rush, Reindeer Herding, Sinking of the Princess Sofia, Aviation, World War 2, and The Iditarod Trail Sled Dog Race and more. 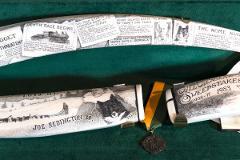 See the dogsled used by Dennis in the 1976 Iditarod as well as the coveted Red Lantern Award for last place. 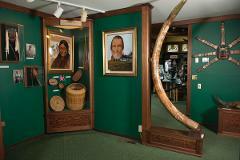 The museum also features the world's largest baleen basket as well as a massive mastodon tusk and trade bead display. mural. Cool. 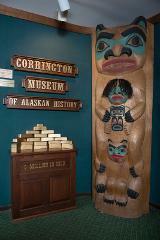 A visit to the Corrington Museum of Alaskan History can be incorporated into any of our hourly tour options at no additional charge. go gold panning, or take a helicopter ride for additional fees. WE CAN EASILY ADD THE MUSEUM TOUR TO ANY OF THESE HOURLY TOUR OPTIONS WITHOUT CUTTING OUT TOO MANY STOPS ON THE HIGHWAY TOUR, UNLESS WE SPEND A LOT OF TIME IN THE MUSEUM, THEN WE COULD ADD MORE TIME IF THE SPACE IS AVAILABLE OR JUST NOT GO AS FAR. IT IS YOUR CHOICE. Hourly rate is $125 hr with a 4 hour minimum.